As its Independence Day nears, there is a mood of introspection across Pakistan, which is rather unusual in the Islamic Republic. To what extent this has been prompted by the economic mismanagement that has made everything from power to water and wheat a scarce commodity or by the outcome of the judicial inquiry that exposed the fault lines in the political system while puncturing the tall claims of tallest Pakistani cricketer of all time Imran Khan and his Pakistan Tehreek-e-Insaf Party that his defeat in the 2013 general elections was on account of rigging by Prime Minister Nawaz Sharif's party is a moot point just as the lackadaisical performance of the Sharif's government which came to power promising a break with the past and pledging to root out poverty, unemployment and chronic energy shortages. Like most of its predecessors, the Sharif government is living on borrowed money, literally. It borrowed from the country's banking system Pakistani Rupees 301billion in the month of June alone which was the last month of the 2014-15 fiscal year. The loan was needed to meet the committed expenditure but it pushed up the year-on-year bank loan to the treasury to a massive Rs 980.7 billion - up from Rs 302 bn borrowed for budgetary support in 2013-14. Over the years domestic and foreign borrowings have become the manna for Pakistan's economic mangers. Well, it is patently absurd to blame them; they are helpless. There is a big mismatch between revenues and expenditure. The tax footprint is narrow and shallow. Tax evasion is not a criminal offence in Pakistan. Over half of the Federal Cabinet Ministers and some 65 per cent of law makers don't pay taxes. With a population of over 191.71 million, Pakistan is the world's sixth-most-populous country, behind Brazil and ahead of Nigeria. But hardly 900,000 Pakistanis pay their taxes; the average tax payment per capita is only Rs18, 000. 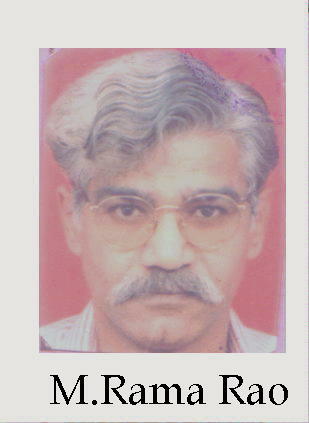 Money is regularly transferred abroad but it is done through illegal "hundi" route only to return as legal remittances. Agriculture is the mainstay of the country and accounts for 22 per cent of the GDP but in terms of tax it contributes very little to federal kitty. In fact, agriculture income is outside the tax bracket. The low tax-to-GDP ratio is forcing the country to borrow money even for the current expenditure. The deficit target is five percent of GDP but it has been missed. Poverty levels have increased. Almost 21% people in the politically powerful province, Punjab, alone, are living below the poverty-line. More than sixty percent of Sahiwal, Pakistan's 22nd largest city (population: around 2, 70,000) are living in extreme poverty, surviving on as little as 1.30 a day, going by Imogen Calderwood's report in London's Daily Mail (July 24, 2015). Poverty and unemployment are pushing youth into the clutches of dangerous habits like gambling to earn money in short time. With this comes the threat of Pakistan ending up as a nation of gamblers. Already it is the epicenter of terrorism largely due to the influence of Islamists over the youth. On his part, the finance minister Ishaq Dar is back at the IMF door seeking a waiver on budget deficit target. Will the high priest of soft lending to bankrupt governments oblige Pakistan? It may because the US is interested to see some fiscal stability in Pakistan and without the waiver, Pakistan will be ineligible for the next trench under the $6.64 billion Extended Fund Facility (EFF). One of the factors that have led to ballooning of expenditure is Operation Zarb-e-Azb launched last year against the Pakistan Taliban, which is bad Taliban in Rawalpindi's perspective. The US State Department is impressed by the Operation though its report on global terrorism released on June 20 did not offer fulsome praise. "While operations carried out by Pakistan's military and security forces disrupted the actions of many militant outfits in the country, groups like the Afghan Taliban, the Haqqani Network and Lashkar-e-Taiba were spared by the offensive", the report said bluntly. Both the GHQ Shura in Rawalpindi and the Foreign Office in Islamabad squirmed but offered no comment. As of now, the finance minister concentrated on what he does best: canvass for funds. "The Federal Government curtailed its deficit portion by placing strict financial discipline. Despite this fact expenditure increased because of Zarb-e-Azb and IDPs and both taxable and non-taxable revenues also decreased", Dar has conveyed to the IMF. The funds crunch and consequent plea for IMF bailout is not coming in the way of Prime Minister Sharif in spending billions to upgrade and up-arm F-16s with the Pakistan Air Force (PAF) though. Orders are firmed with China for 110 JF-17s Thunder fighter jets and eight submarines. Armed forces and their budget enjoy the status of a Holy Cow in Pakistan. No one dares to question the Army, which has become the defacto ruler. The MQM supremo, Altaf Hussain recently dared to take on the mighty security establishment that too after he was forced to do so in a carefully calibrated strategy to demolish his Karachi Empire. The way he is being hounded is a lesson to future challengers. Yet, in what is a telling commentary on changing times, a peacenik has ventured to deliver a homily against arms race. "Pakistan should put its own house in order before jumping into an arms race", Ahson Saeed Hasan wrote in The Express Tribune blogs on July 28. He is a Washington DC based journalist, "who has covered enough wars, had fair share of good and bad fortune, experienced torture and witnessed people maimed, lamed and faced the ultimate fate of death". He has questioned the submarine buy. ".Why in the world is Pakistan buying eight submarines from China? Why did the powers-that-be decide to jack up 11 per cent of its defence budget? This means that for every rupee paid in taxes, 26 paisas will be spent for homeland security. This is more than one quarter of the country's economy being mortgaged to just keep the frontiers intact. I find this shockingly disgraceful!" he wrote in his widely read blog column terming the submarine buy as "an atrocious" development. Hasan wonders "why can't Pakistan not understand the efficacy of peace and put its own house in order before jumping into an arms race of sorts?" His advice to the rulers: "Stop being paranoid about outside forces meddling in your affairs. Weave a network of hope, faith and optimism for your own people. For doing all that, you do not need any submarines, missiles or rocket launchers to capture the hearts and minds of millions inside the country and the billions across your borders". As a true peacenik, Ahson Saeed Hasan pushes the envelope further saying "Talking peace and reasoning out on a discussion table are only hallmarks of maturity", and asking the leadership to "invest in human capital" and "give the people the sense of security they deserve".